WE ARE BIG WITH MORE R&D ! Waste heat boilers produced from alloy, high alloy and stainless steel according to physical properties, content, flow and process conditions of gas are designed and produced to be Water Pipe Waste Heat Boilers and Flame Smoke Pipe Waste Heat Boilers. In the gas engines and in the gas turbine, the high-temperature waste gas resulting from the combustion is evaluated by producing waste heat boilers and steam, which increases the overall system efficiency. It is used in organic rankine conversion systems (ORC). These heat recovery steam generators (HRSGs), which are used to convert steam back into electricity from steam turbine back-burning gas, are also called HRSG (Heat Recovery Steam Generator) in the Combined Cycle Power Plant (CCPP). In addition, lower capacity steam turbines are used in the boilers that produce hot steam, steam, hot and hot water, hot oil from the waste gases obtained from gas and liquid fuel engines (cogeneration). 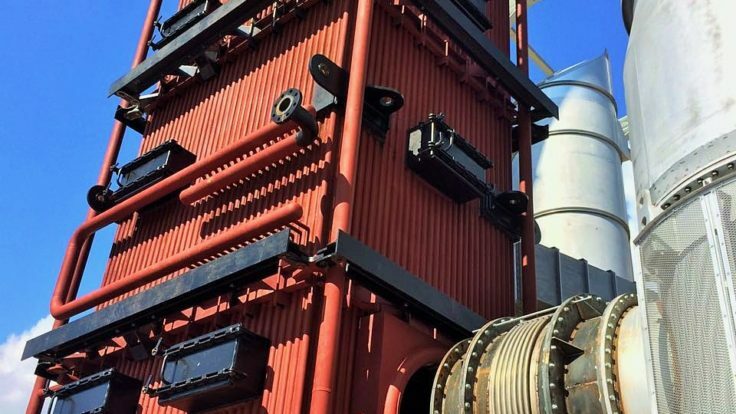 In this way, the energy efficiency of the plants is increased and the efficiency of the system is maximized with the economiser to be placed behind the boiler. In waste heat boilers, combustion efficiency and boiler capacity can be increased with additional burners (duck burner). We are designing and producing Corner Type Boiler with the license of German ERK Eck Rohrkessel Gmbh which has more than 6000 boiler references to our customers in our Water Pipe Waste Heat Boilers. As ERALP, we provide the basic design of our boilers, thermal calculations and water circulation calculations by ERK Eck Rohrkessel Gmbh of Germany and complete the detail design and strength calculations with Eralp Engineering to provide our customers with the most efficient and quality systems in the most suitable conditions. We make the most advanced design and analysis programs for the water pipe waste boilers that we design, and then we go to production after we have done combustion and efficiency analyzes. Thus we guarantee the productivity. We minimize energy loss with high heat insulation refractory and insulation materials used in our water pipe waste heat boilers. 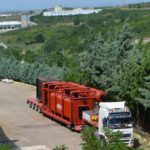 With our group company Eralp Fintube in Eralp, we are maximizing the heating surface with “High Frequency Welded Pipe” which is the first and only manufacturer of Turkey to transfer the heat of the waste gas in all water pipe waste heat boilers in optimum condition. Water Pipe Waste Heat boilers are designed according to the international EN 12952, ASME Section-1 norms and produced with the least amount of mistakes underground welding method. In the production of steam, hot water or hot water, we provide optimum control with sealed damper, which is proportionally controlled for the process. Boiler body, pump, control cabinet, damper and so on. 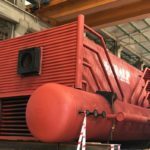 We package the equipment in our factory so that the installation of the gas and liquid fuel engine or waste heat boilers built behind the turbine can be done very quickly. 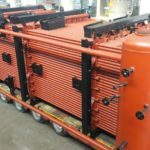 Manufacture of Water Pipe Waste Heat Boilers are manufactured according to EN 12952, 2014/68 EU Pressure Vessels Directive Category IV and module B + F or G and controlled by CE Certificate. If requested, we will be able to manufacture with our existing certificates in accordance with ASME Section I and with an “S” stamp. It is a steam boiler that is developed and produced for businesses that need high steam capacity and high pressures. For safety reasons, the water is more secure because of the circulation in the pipes. Because of their lower water volumes, they are boilers that enter the regime more quickly. It is very important that water conditioning is well done. With Eralp Kimya, our group company, we can integrate the water conditioning systems and chemicals necessary for the boiler into the system, thus extending the life of the water pipe boiler while providing a complete solution to our customers. R&D OFFICES AT UNIVERSITY ARE MOVED! Our e-catalog is renewed. Click here to download it.